Today is 'Mothering Sunday' here in the UK - dating back to when young girls and boys in service were given the day off to go home and visit their Mothers, most likely taking a bunch of Spring flowers with them, picked from the hedgerows nearby. In fact, the term Mothering Sunday dates back to centuries ago when people returned to their 'Mother Church' for a service on that day. Of course, it's now more commonly referred to as Mother's Day, but I still like the term 'Mothering Sunday'..
And, the clocks here also changed - at 2am on Sunday they 'Spring forward' by an hour meaning we lose an hour's sleep but that the evenings will suddenly be lighter of course. - it worked just fine - no cogs and springs taking flight! - finally popped the striped pieces of patterned paper in place - a perfect match to the sentiment, even if I say so myself! I have offered the same MFT 'Stitched Diagonal' Cover-up dies previously, but I just think they're such a useful die to have that I added a further one to the Toy Box a few months ago, really with the Grand Draw over last Christmas in mind. It didn't get offered but it goes so well with this sentiment - which of course is the Impression Obsession 'Thanks' die ............... on offer as well! The prize is both items, but this time I would split them as I know that a few of you already have the Diagonal cover up die. This is very much an exception of course! Just say if you want to be in the draw for both dies, or state which one of the two you would like to win - and we'll take it from there.But, as I always say, you can play for both and give one item to a friend if it's a duplicate or you really don't fancy it. 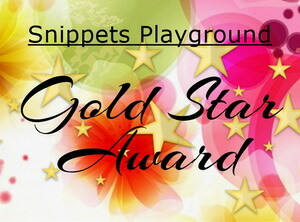 As always, the Snippets Challenge will run for two weeks and the Playground gates will close at 11am UK time on Saturday 13th April. The gates will open again at midnight UK time on the same day. Remember, if you link into the Playground and don't say clearly that you're wanting to be in the draw in a comment on here, then you will be bypassed if your name comes out of Mr Linky. I'm sure you all know I ask for a positive 'yes' on the blog post itself - just in case you're playing only for fun - otherwise I don't add you to my little list. Dudley continues to keep us on our toes here! The latest thing we've had to contend with is that the hedgehogs spook him if he happens to go out for the toilet when they're around. And a little dog with a big woof in the early hours of the morning isn't gonna win him many fans. 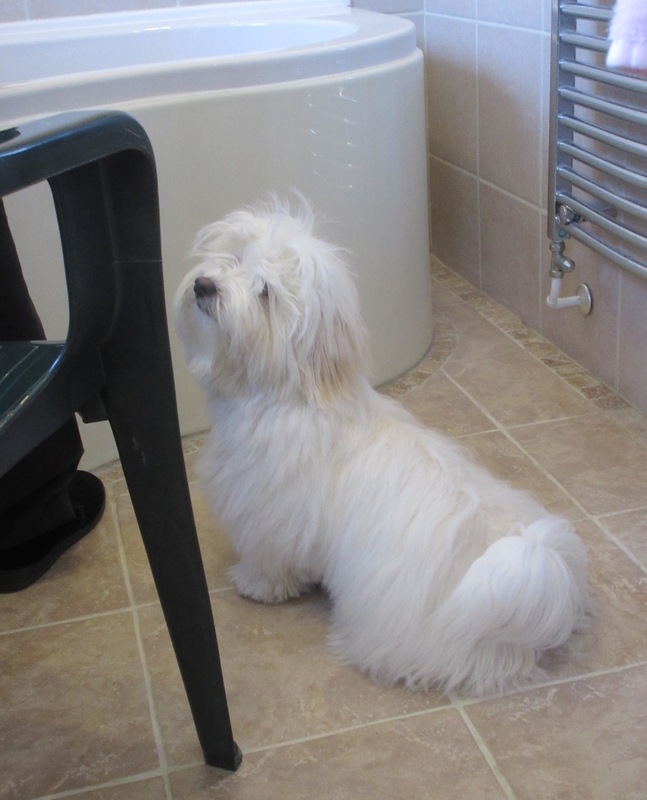 Havanese dogs have quite a deep bark, which always sounds as if he should be a much bigger dog - until you see him. Dudley was looking a bit grubby after we finally let him out into the main part of the garden once various borders were 'Dudley-proofed' (he loves to dig, even just at grass). So on Friday we felt he really needed a bath so it was all hands on deck here. Cleared one end of the bathroom - and Len brought up a spare garden chair for me to sit on beside the bath, plastic so it didn't matter if there was a deluge. The following photos are on Facebook so you might already have seen them! First of all, Len filled the bath, quite shallowly as we mainly used the spray attachment - and this photo makes me really smile - the little innocent, with no idea of what's to come. WHAT?!?! You mean I have to sit IN HERE where it's wet and be rubbed with shampoo all over - this IS a joke, right? Let me out - right now - or I begin to do my Havanese yodel performance! I did giggle when Darnell remarked on Facebook that he had 'a bed head' - that's because I took his topknot out and gave him a thorough brushing right through before the wet stuff started! Len wouldn't let me take his photo when he was soaking wet as it seems undignified somehow - but there's a very small dog underneath all that hair! We were drenched, although the bathroom wasn't flooded at least. Then came the drying and more brushing, plus a new topknot - and he was good as new, smelling lovely and looking as gorgeous as ever! And all three of us were totally whacked! Wow Di, you are quite the paper crafter to actually line up the stripes on the die cut sentiment with the background paper. It looks wonderful however, and does remind me of sewing class as we were always reminded to line up patterns at seams etc. for a nice professional look. Yes please to this fabulous die set!! As of Dudley...oh, he is such an adorable little guy...whether wet or dry! I bathe our Toby at home int he tub all the time and it's so funny how tiny and skinny they look once that fluffy fur gets drenched. Love the photo of him with the ceramic hedgie, and can't ever get enough of that sweet little wry smile! 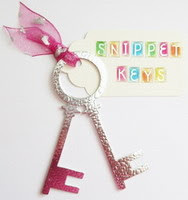 Terrific snippets card . . . Sounds trickier than it looks! Lovely photos if Dudley . . . Fun & games at your place isn't it?! Sorry to hear about Jenny L's sad news. Sending hugs her way. Was so sad when I read Jenny's post, she seems to have been through such a lot recently. Very clever with the lining up of the stripes and thanks for the helpful explanation too. Loved seeing the photos of Dudley having his bath - imagine how wet we used to get bathing a very reluctant Airedale!! 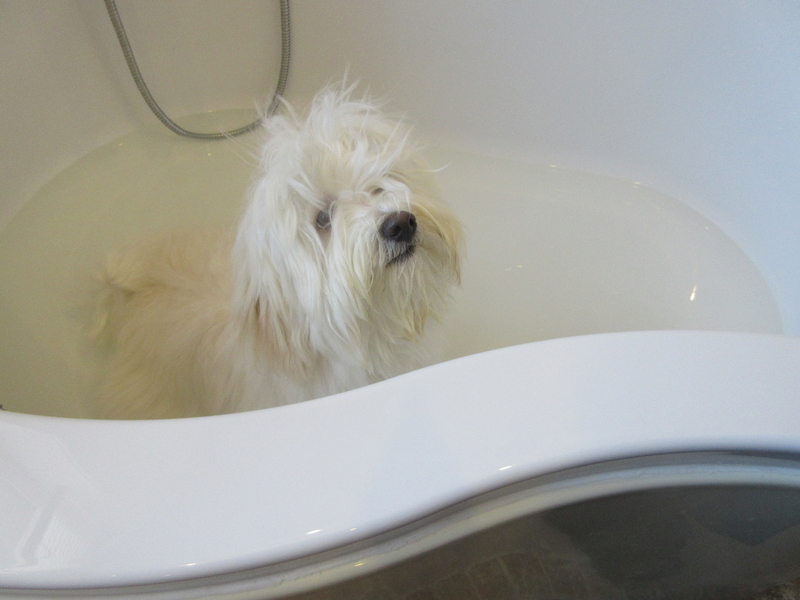 I giggled so much seeing Dudley's bath :D Poor doggie, you and Len are so much mischievous! :D :D ....How fluffy and such fabulous eyes he has! 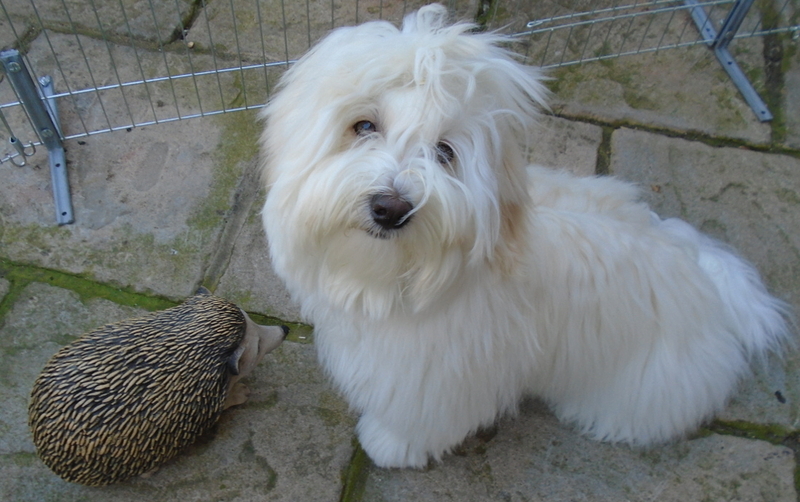 And I laugh for the photo of Dudley with the faux hedgehog, surely he knows very well that it's not true! Lovely card with that clever die and the matching sentiment, it's a great idea for quick cards and to use snippets! Beautiful card. Love the sentiment snippet. Poor Dudley and his not so happy bath. But, hey, it's all worth it in the end. Our time has already sprung forward and we don't like it at all. I wish they'd do away with it. Oh, I do love your card, DI, and the technique you used to get the stripes to match! I'm going to try that on a card this week and will post it when I have it done. I happen to have several 'Thank You' dies, might even have that one you used, so since you're willing to split the prize, I'd love to play for the 'Stitched Diagonal' die this time. Oh dear--I can hardly write this as I'm still laughing! So fun to see the pictures of Mr Dudley & can just imagine the 3 of you drenched! 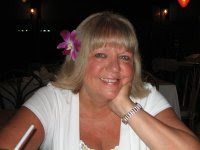 So sorry to hear of Jenny's loss--we're never prepared. Once again a reminder to make each day count. I absolutely love your card, so worth the time for sure! Many dies at this house, but neither of these so will play for both. That looks one tricky card to put together .. .. think I would have skipped on the stripes LOL!!! Lovely fun pictures of Dudley. Awesome dies! I love the stripes..such a fun thank you card!Very interesting about Mothering Day too..I never knew that!! OMG! LOOOOOOOOOVE Dudley, Di! He puts a big o’ smile on my face every time, so please keep sharing those pics and stories of him. Gorgeous papers and a really super die, lovely clean looking card. The photo's are fabulous, he looks quite taken with his new friend, but is looking quite mischievous before getting into the bath, and then like a wet rag while in the bath but in all poses, he is gorgeous. Fabulous card Di, lovely stripes in Spring colours. You have done an amazing job of lining them up on the sentiment! I would love to be entered into the draw please, thank you. Cute photos of Dudley as always, bet bath time was a lot of fun! AWESOME pix, Dudley's totally adorable (and now fresh smelling too!). Beautiful DP. Love this colours. Cas version is pefect. Congratulation to your work with stripes. So sorry to learn of Jenny's husband passing away. I hope she is surrounded by loved ones at this time. Your card is fabulous and I love the color combo with that great die! I have to say Yes Please to the draw this week, thank yoU! As for that darling pooch of yours, he's simply adorable! Caption that photo with a "Seriously Mum?" LOL He has sarcasm written all over his cute little face LOL Thanks for another fun playground week - I hope your toe is healing well now and life is getting back to a normal routine once again! Great card, Di! You did a fabulous job of aligning those stripes. Dudley just keeps getting cuter! Thanks for sharing pictures of him :) Yes please to the prize, and I will be back with my project. A fabulous card Di and I love how you have lined the paper up for the sentiment too. I would love a chance to win this prize, please. Great photos of Dudley - he looks so cute! OMGoodness, I can't help but giggle when I read about Dudley and look at his photos! What a cutie-patootie! The one of Dudley and Art made me laugh out loud! Looks like they've become fast friends. How is it going with the real hedgies, or don't you know yet? Your card is beautiful, love the dies, so I'm definitely a YES! I'll be back later to join in the playground festivities! I am loving the stories about Dudley. Pets are such a joy. Yes to the die set. I don't have either of them and would love a chance to win. This is fabulous Di, love your gorgeous work with the stripes. Cuteness personified there in dear Dudley. How do you ever go cross at him... one look of that innocent loving and so melting face! Wow, on the stripes matching Di, my jaw dropped a little, I wonder if the recipient will notice it, well done indeed! 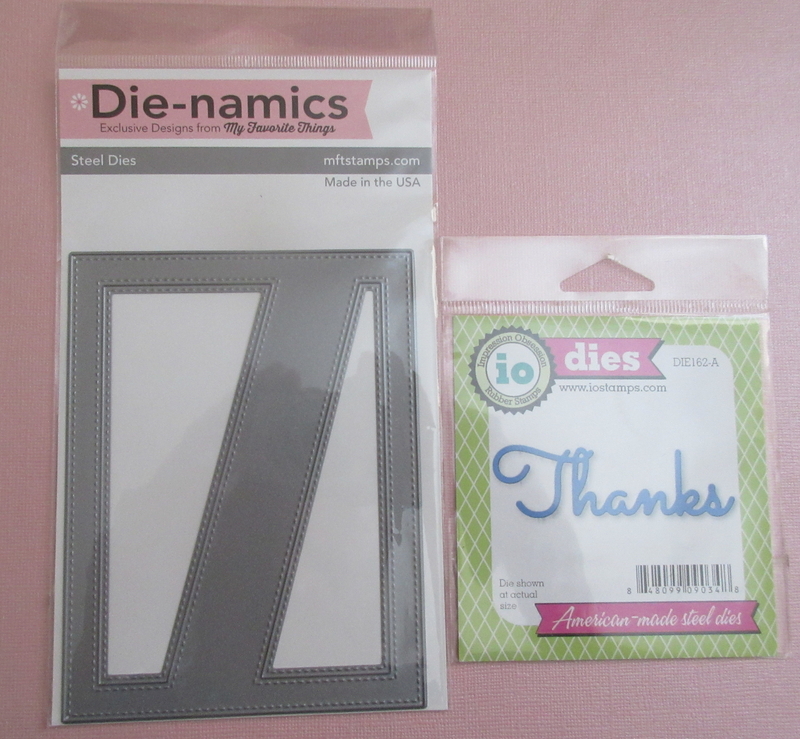 Lovely card and yes please to the yummy die prize, think that insert one is brilliant. Goodness me, getting it all lined up sounds like a lot of effort - well worth it for the result, but if i should be the lucky winner I hope you will forgive me if I stick to using it with plain colours! I'm sure I'd never get it so accurately lined up. But, I'm back with my card and I missed being here. Love your card but little Dudley steals the show. OMGoodness!!!! He's the cutest thing ever. I'm sure Rambo would disagree with me and I guess it'd be a close race, but Dudley really is precious!! I'll try not to be a stranger now. I'm not playing for the prize today but wish everyone else good luck on winning it! Wow, you really had some patience to line up that sentiment so perfectly, and what a fabulous card. Now last time you offered that die I put my name in the hat, but as I didn't go rushing off to buy it and I've lived without it for all this time I will not let myself be tempted and say a firm 'No Thanks' this time around. I love your card, Di. I'm pretty partial to stripes as well as purple. That Dudley, he's so darned cute!! And that face! I could just eat him up. lol And yes, I'd love to play for your generous prize, thank you! Gosh seems a long time since I was last here. Got me a spanking new router to play with.So far it is doing what it says on the box. Just playing for fun. Great photos of Dudley. Takes me back to bathing the cats prior to a show. A drenched cat is a sight to behold!! Superb card Di and my big apologies for not playing or letting you know we received the lovely Christmas card. Have had some other health issues which still aren't resolved but at least I feel a little better and am creating again. Dudley is gorgeous - if you ever want a puppy sitter bagsy me first please?!! He can come and live with us whenever he wants to lol! We always knew when we had a hedgehog in the garden with our Eddy because he would just bark, not attack it or that, just bark constantly at it - Steve would have to go out and bring him in - happy memories thankfully. Love how you lined up the stripes! Nice to see cute Dudley! Would love to be entered in to win this month! Wow, this card is so different and very nice! And about Dudley: he is so cute. Our doggy Tom hates water.....! Today I am joining in with a real Dutch card and I say yes to the prize. A great card. Love the photos of Dudley. Yes please for the draw. Love your cute pics Di! Yay! I made it into the playground. Love your card and that die - well done on matching those stripes, it was bad enough when I did it on my house die the other week, but at least that was a straight line lol! Lovely pics of Dudley. Yes please to being in the draw for the prize. Beautiful card Di, love the stripes. Playin for fun. Yes, I'd like to play. Love the goodies this time and sure would like them to use. Dudley looks so cute! You are brave to bathe him. Hugs to all of you!! Great card and well done on lining up the stripes. 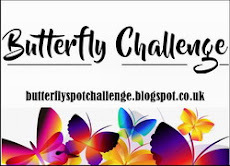 I've entered a card in the snippets challenge and would love to go in the draw for the prize please. Yes,I would love to be in the draw for the prize. Dudley is so cute in the bath! I'm just playing for fun and showing off the new fold Mrs. A brought to my attention. Ooo, boy! that looks like a labor of love to me!! But it turned out really cool. Would love to play for the prize this time, thanks! Doodly is looking so cutie patootie! Love your fab card Di with all stripes! Yes for this fantastic prize! Hi Miss Di, the lovely Parsnip and cutie Dudley. Yes Please if I am lucky. May I thank everyone for their condolences on my loss and their kind thoughts, words and prayers. I Have received so many wonderful cards with lovely words. Love your wonderful card and the beautiful fresh look that paer gives it very summery and gorgeous. That is such a super die. Dudley looks so sweet and such a ball of fluff. No confusing a sweetie like him with that pottery Hedgie. Lots of crafty love to all. Jenny L.
Fab card Di - super job lining up the stripes! PS - I'm a 'yes please' for the prize draw. Wow....I love that diagonal die!!! Not sure I would have been brave enough to use it with stripes the first time out, but your card is a stunner. Love the pastels....so springy!! Yes, please, to this lovely prize duo. I finally got out a super-fun snowman set I won from you perhaps a couple of Christmases ago and dove head-long into my scrap bags and boxes to search for the colors I wanted. I came up with exactly the pieces I needed for all the elements! A true all-snippets card....except for the card base. Yay!! Thank you for another sweet challenge. Love the sweet pics of little Dudley!!! Such an adorable ball of fluff!! Lovely creation (YES PLEASE for the prize) and I think this die "set" would be very handy for quick cards once needed -- just a theme fitting designer paper combined with a theme fitting sentiment. Hi Di, so glad I could play again this month. Thanks introducing me to all your playmates, it was very sweet of you! I love the attention to detail on your card - you have more patience than me! I would love a chance to play for the dies. I love your technique, very clever. Dudley is really super cute. Hooray for Penny Black Stickeroos!